ROOM (DOUBLE BED), LIVING ROOM (SOFA BED), KITCHEN, BATHROOM, ALL NEW! In Top Apart Leblon features a terrace and snack bar. Other amenities such as shopping and laundry supplies are also available. Free parking is at your disposal. If you want to visit the area, check out the Post 10 - Ipanema (1. 1 km). The Apart Hotel has daily housekeeping. Silvia Aparecida de Oliveira de M.
Adoramos a hospedagem! Voltaremos em outras ocasiões. Apartamento confortável, excelente bairro, seguro e bem servido de restaurantes e bares. Perto da estação de metrô e outras opções de transporte. Funcionários do flat bem atenciosos. Espero que retornem em breve! Flat com excelente localização, ao lado do metro, praia e comercio. Leblon is a great choice for travelers interested in good restaurants and bars. 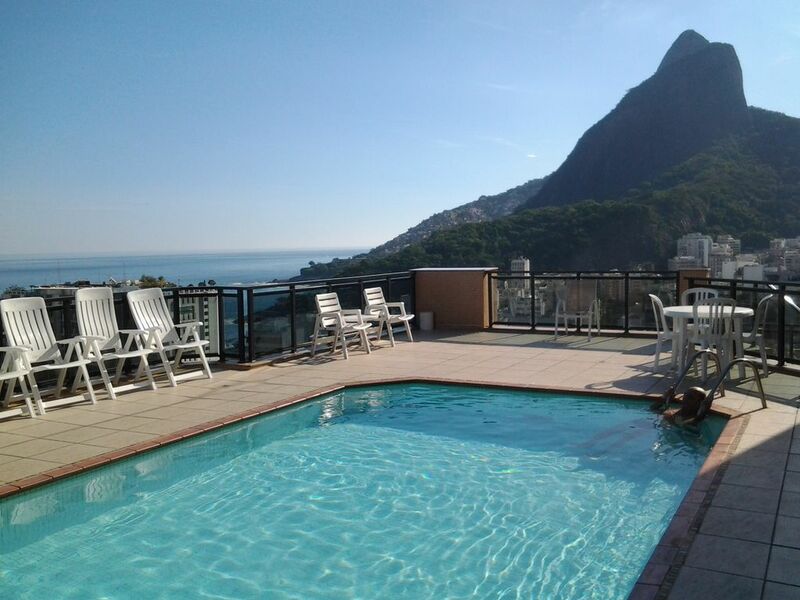 The flat is situated in the heart of Leblon, in John Lira, one block from Leblon Beach and a 5-minute walk from Lagoa Rodrigo de Freitas and Ipanema. Near the shopping Rio Design Center (the most charming and sophisticated Rio) and close to excellent restaurants, traditional pubs as the Clippers and the Bracarense, Chico & Alaíde, Cinema Leblon and exquisite trade. A 10-minute walk from the famous Botanical Garden. You can enjoy all the charm of Leblon walk. Served by banks, supermarkets, pharmacies and transportation. Qualquer dano ao imóvel será cobrado.